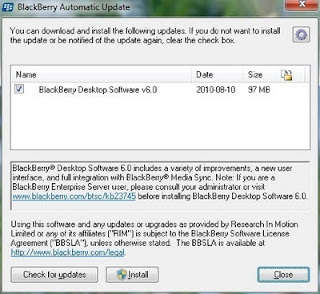 I was greeted this morning to an upgrade notice on my Windows 7 PC that an update was available for BlackBerry Desktop to version 6.0. The software was released earlier this week and the download comes in at just under 100MB. The update also includes some minor software updates. Enterprise users will want to check with their IT administrations before installing the latest desktop software because "some features that will not be available which may affect some users." These features include Certificate Synchronization and Encrypted media card transfer support. For more details, take a look at BlackBerry KB article 23745. 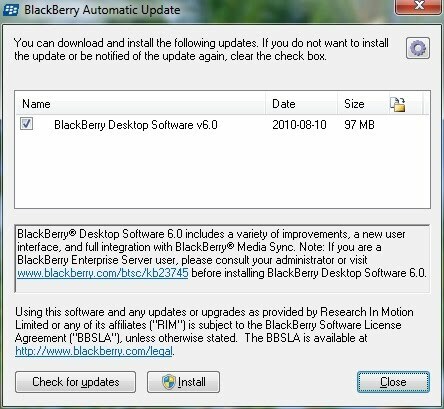 The full BlackBerry Desktop Software 6.0.0 release notes can be found on the BlackBerry support website.